If you are new to canning cans or a seasoned pro, Tropical Bottling Company can help your bottom line with efficient, top-quality beverage production. Our cannery has all of the space, equipment and rooms needed to provide the highest quality on every production run, and our comprehensive service offering allows us to be your single provider through every stage of production. Our team is made up of industry veterans who understand every facet of beverage production and can help you overcome production hurdles to produce stunning, great-tasting products time and again. In addition, our cannery is currently certified by the HACCP and the Florida Department of Agriculture, and we are striving towards completing our SQF Level II Certification. Better still, we have off-site quality control laboratories and on-site quality control managers who ensure that every production run is completed with product taste and safety in mind. 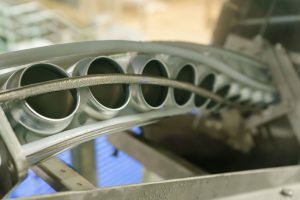 Our cannery is fully equipped to provide a wide range of processes including cold fill, hot and cold fill pasteurization, reverse osmosis water treatment and more, all of which enable us to expertly can tea, flavored water, coffee, soft drinks, sparkling juices, carbonated beverages, nectars, energy drinks and many other beverage types. Additionally, we are capable of canning cans ranging in size from 7.4 oz to 16 oz and offer regular, sleek and specialty can options. Additional Tropical Bottling capabilities include custom palletization, trial programs, in-house and 3rd-party labeling, storage of finished goods, single-handling export solutions and so much more. We can be the cannery you turn to for your entire production process, from conception and production to canning cans, storage and shipment. Tropical Bottling Company has been canning cans of ready-to-drink (RTD) beverage products for businesses in Florida, Georgia, South Carolina, North Carolina, Tennessee and throughout the United States for years, and we look forward to showing you why our cannery is preferred among beverage makers across the US. Contact us today to discuss your next RTD beverage product.